Trucking Regulations | Nashville Truck Accident Lawyers The Law Offices of John Day, P.C. 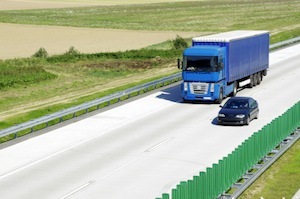 The Federal Motor Carrier Safety Regulations cover all trucks involved in interstate commerce. The regulations cover a wide-range of topics including hours of service requirements, drug and alcohol testing, weight restrictions, qualifications of drivers and the inspection, repair and maintenance of vehicles. The regulations can be viewed here. Despite heavy regulations, the trucking industry is still plagued with unfit drivers, corner-cutting companies and defective equipment. Your case is much stronger if there was a violation of the Federal Motor Carrier Safety Regulations and that violation played a role in the accident. In fact, depending upon the extent of the violations, you may be entitled to punitive as well as compensatory damages. How do you know if a Federal Motor Carrier Safety Regulation violation played a role in your accident? Call our experienced team of trucking accident attorneys. We are intimately familiar with the regulations and we know how to look for and prove a violation. Contact us today at 615-742-4880 or toll-free at 866.812.8787. We only get paid if we recover money for you and we advance all case expenses. So, you are never out of pocket any money to pursue your trucking accident claim.